All vehicles have blind spots – the area around a vehicle that is difficult for a driver to see in a rear-view mirror. 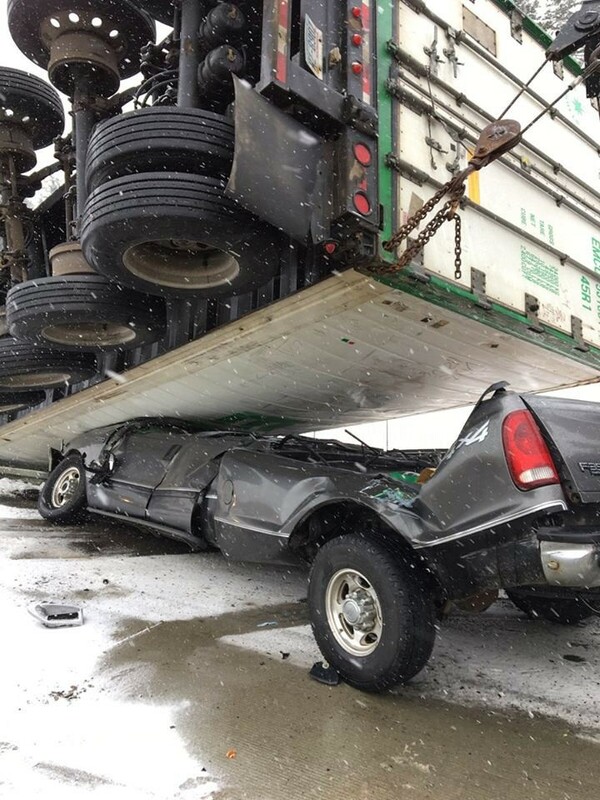 Some vehicles have them worse than others, though, and semi-trucks have four large blind spots that all drivers should be aware of. The blind-spots on a semi-truck occur in the following areas: on the left side of the truck, under the cab mirror near the driver’s side door; on the right side of the truck, under the cab mirror and extending further out than on the left side; behind the trailer, an estimated 30-35 feet; and in front of the truck, at least 20-25 feet. What can be done to reduce the impact of blind spots on traffic safety and prevent serious crashes? Traffic safety has improved dramatically over the last 10 years, and technology has played a large role in that trend. However, the potential for technology to reduce semi-truck blind spots is relatively limited. Additional and extended mirrors may allow semi-truck drivers to see a larger area of their surroundings, and various forms of side-view assist technology such as cameras and mirror extensions can provide more coverage of common blind spot areas. But since the physical act of scanning the area for other vehicles takes drivers’ attention off the road, it’s been more difficult than expected to come up with a catch-all solution. Some experts believe that high definition electronics – such as side-view mirror cameras and radar sensors – will be more effective, as long as trucking companies buy into the value of making investments into these types of safety features. Of course, from a legal perspective it is the responsibility of the semi-truck driver to change lanes safely and check his or her surroundings before changing lanes. 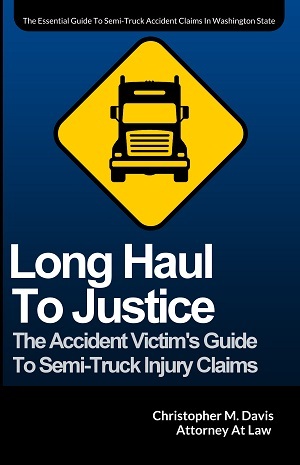 If a semi-truck driver is found to have caused an accident because of a failure to check for other vehicles, it is likely the trucker will be cited and held legally liable for causing the accident. However, an ounce of prevention is worth a pound of cure, and simply being aware of the serious safety issues presented by semi-truck blind spots may help drivers avoid semi-truck crashes. If a driver is able to recognize that they may be approaching a semi-truck’s blind spot, they might decide to switch lanes away from the blind spot or pass the truck in a safe manner. Seattle attorney Chris Davis of Davis Law Group, P.S., has more than 25 years of experience representing injured accident victims and their loved ones. If you would like to learn more about your legal rights or request a consultation with an attorney, call Davis Law Group at (206) 727-4000 today.